I am choosing to participate in a campaign of electronic information distribution in order to defend the democracy of the United States. This site and many others provide access to Diebold memos that expose flaws in the company and its products. Diebold makes voting machines that are used in 37 states, but they provide no verifiable record and lack even basic protection against fraud. See Rebecca Mercuri's site and the book Black Box Voting: Ballot-Tampering in the 21st Century for comprehensive information on electronic voting machines and the serious threat they pose to democracy. See why-war.com for the latest updates on this protest. Wendy Seltzer's response to Diebold's cease-and-desist demand provides the legal argument that this posting of information is fair use. According to the Copyright Act, "the fair use of a copyrighted work ... for purposes such as criticism, comment, news reporting, ... or research, is not an infringement of copyright." Join me in protecting democracy by keeping this information in the open. Download diebold.zip and put it on your website. Unzip the file in your website directory. 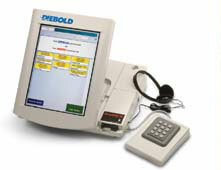 Move the diebold.zip file into the newly created "diebold" directory. Or, you can download just the archive of messages (about 7.7 megabytes) and post it on your own website. After you have posted the materials, send a link to info@why-war.com. lack even basic protection against election fraud.